M.ost R.espect’d grew up in the Edgehill neighborhood on the south-side. Being from that part of town, you must know how to overcome all obstacles. 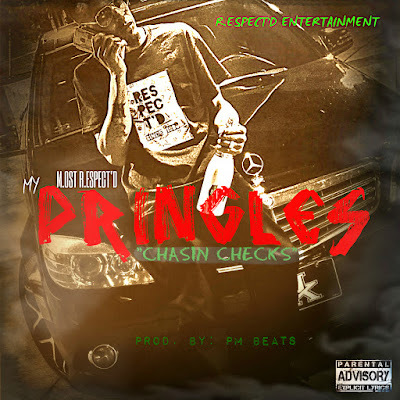 He released a single produced by PMBeats titled, ”My Pringles”. While others refer to their money as cheese, guap, bread or even green, he wanted to stand out. Pringles are stacked, which is how he likes his money to be. M.ost R.espect’d plans to have longevity in the rap game. Being a one-hit wonder isn’t in his plans. With continuous hard work, he plans to be a multi-platinum recording artist under his label R.ESPECT’D Entertainment and also wants to start his own apparel line in the future. Work is all he knows. He is currently finishing up his album, ”R.ESPECT’D 2” where you can definitely expect some bangers! Nashville is breeding a ton of great artists and M.ost R.espect’d is apart of that group. His single is available worldwide on every platform you can access music.